An exclusive style only available at our stockist Lisa Says Gah. An eternal muse, Charlotte Rampling. I always love spotting our jewellery repeatedly worn by the same wearer. 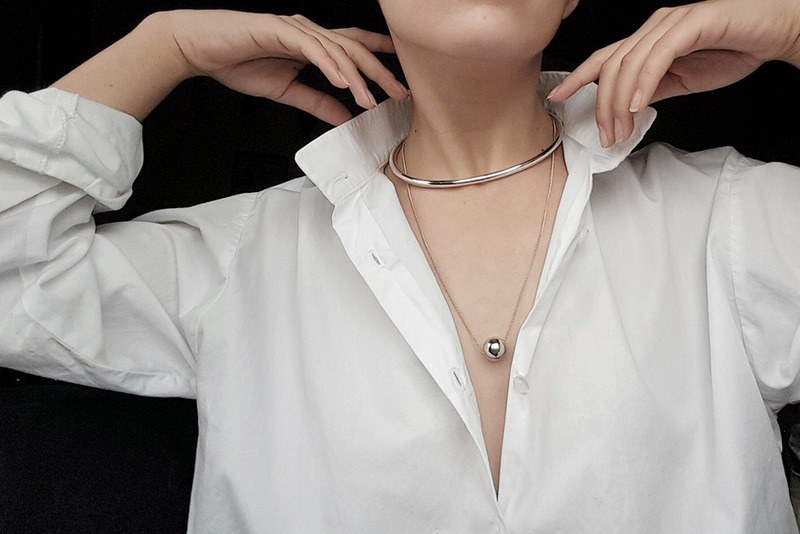 Here’s our muse Jessica, wearing our Nelle ball necklace and Elska round choker, with a classic white shirt and oversized grey coat. and is something that you can wear with everyday clothing. 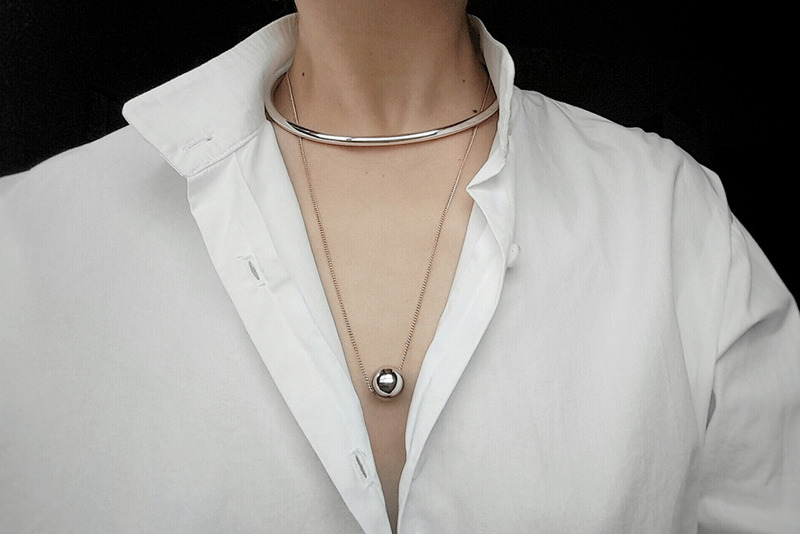 featuring Nelle ball necklace and Elska round choker. The curation of our second collection started with Lou ball bracelet and necklace. With its matte gold shine, the Lou style inspired the collection made up of spherical and circular elements. Moodboarding for our second collection. 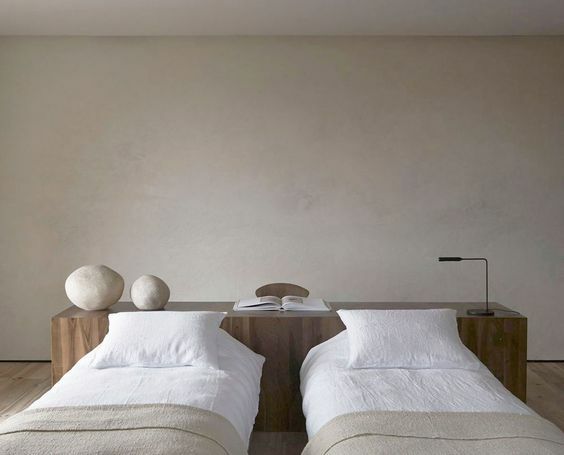 ceramics, rocks, comfort, light, calmness, and quiet. Timeless and quietly elegant, the Elska round choker and bangle are styles you can wear over and over again. I especially love wearing the choker with high neck tops, like this pleated blouse. As for the bangle, it’s something you can wear everyday like it’s part of your uniform. Not sure if you can tell, but I’m very much obsessed with both! Minimal styling is always ideal, and one is certainly enough. Seen in this beautiful capture is Julie Vester wearing the Lyre hook-on bangle.